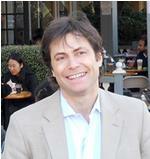 1) An interview with Max Tegmark (pictured above) about why he thinks that the universe is itself a mathematical structure. 2) An interview with physicists David Berman about how many dimensions exist. 3) A talk with cosmologist John Barrow about infinity. 4) A discussion with Roger Penrose about the puzzle of time. And many more. Well worth a listen! 5) There’s also a good lecture by Professor Ray Monk on the University of Southampton page (see “useful downloads”) looking at the link between philosophy and mathematics – which takes a fascinating journey through the history of maths and the great ideas of great men. 6) Maths for Primates is a fantastic source of podcasts – 14 and counting, on fractals, Zeno, Hilbert’s hotel and more.